This $5 off $30 Winn-Dixie store coupon is good for two weeks- til Feb 8. They are on the top right of the front page of the sales ad. Grab a couple extra copies in case they don't run this coupon in next week's sales flyer. I found mine at the store because I forgot to buy the Weds newspaper yesterday. Of course I used it at Publix. Although I might head to Winn-Dixie too. There's some good looking dollar deals there this week. I knew that my shopping list would be short and not make it to $50 to use that Apple Market coupon. I looked for a CVS coupon on Tuesday night and found none. It's a blessing to get this nice WD coupon. Unfortunately, I miscalculated my short list and thought I had $30 worth of goods. It rand up only $22 at the register. I ended up adding an $11 steak to make up the difference. Yikes! But, life is too short and I've never bought New York strip steaks ($7/lb). So, keeping it in mind, everything below is $18 ($7 for everything except the steak). 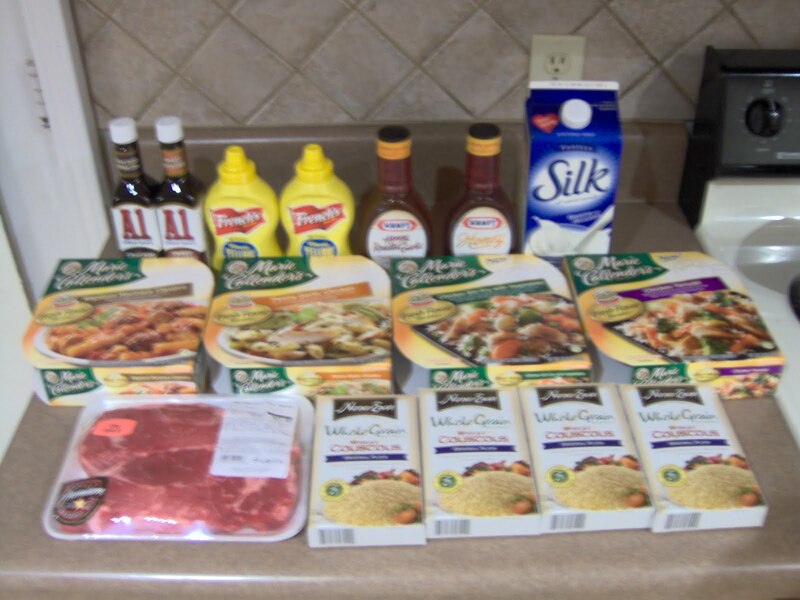 I used the coupons listed in the Super Deals at I Heart Publix. Thanks, Michelle! This week, Food World has block and shredded Borden cheese for $1.5o. Use this $1 off 1 PDF coupon to get it for only $0.50! The coupon prints in the middle of the page. Wal-Mart carries this so I'll price match it there. Also, they have Kraft Cheese with a Touch of Philly for $2 last week. If it's still the case, use this $1 off 1 Kraft Cheese coupon and get it for only $1. They are the only store I've seen with this cheese. I was looking at I Heart Publix for the new Yellow Advantage Flyer deals. Borden Singles are $2, so only $1 after the coupon. That's how I found out about the coupon, then I remembered the Food World deal. I am loving all this cheap cheese! Last week's CVS deals were great for me. For some reason though, I got Kudos and candy coupons and nothing else from the coupon machine. I hope it isn't broken! This week is a little slower. Some are repeats like the Crest Pro-Health but FREE after ECBs without any coupon. They were out of stock Friday but I'm glad I had to wait. Now it will be a $1 money maker with the coupon I have. For those with the 12/26 PG- the $2 coupon is an even better money maker. It's not the best deal but I love these drinks. For date-night-in, I get sushi (Publix Mobile Hwy is the best!) and these drinks while we watch a movie ($1 Blockbuster Express at Publix). The treats always makes me feel fancy! To see the ads, visit I Heart CVS; CVS deals and match-ups at Hip2Save. Check it out. What a great way to spend a cool Saturday morning... picking garden veggies in Elberta! 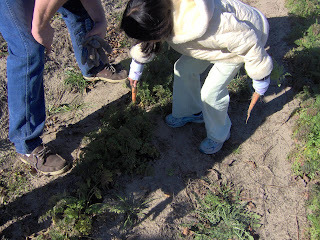 Now I know why Peter Rabbit snuck into Farmer Mc Gregor's garden. The soft ground yielding a plentiful harvest by simply plucking here and there is a pleasure. Just look at the bounty we took home: carrots (15 lbs), cabbages (larger than my head), giant turnips, collard and turnip greens, broccoli, red potatoes and green onions. We have more than enough for us and a few other friends. Some of the green onions and potatoes we'll stick in a pot and see if they might grow. A few colossal collards were more than 12 inches long. Everything was so crisp and clean. The potatoes were surprise leftovers from their fall garden. It was exciting to see no sign of a potato plant except a dried out stub of stem then dig out a couple of red beauties hiding in the dirt. It was like finding buried treasure. 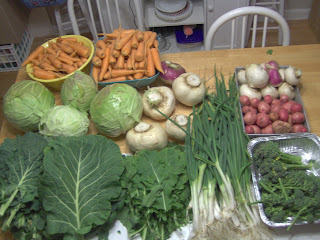 I love greens but don't really know what to do with turnips. Any suggestions? 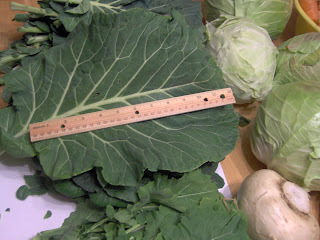 On an interesting note, I found online that you could eat broccoli leaves if cooked like other greens. Has anyone tried that? I'll let you know how it turns out on my end! Christmas items are 90% off at Pier One. Our store is in the Kmart Complex (where Lifeway is) near Cordova. I haven't been there in years but they have this flirty apron on sale for only $2.38. You can view clearance items on the Pier One website and check for store availability. Thanks Hip 2 Save for the heads up! Since our Publix still accepts CVS Qs, I am planning this scenario below. CVS has Reinventing Beauty Mags with CVS Qs. The latest issue from a couple months ago had both $1 Kraft and $1 Crystal Light coupons. This week's sale at Publix has both on BOGO deals at $3.19 and $3.49 respectively. Plus there are Target Qs to stack. Did you know that an often requested product from soldiers deployed overseas is Crystal Light and similar powdered juice packets? Even if you don't drink it, consider donating. Greer's ads, deals from me! Remember that you can price-match sales at Wal-Mart. Target will also price-match brand names and are specific to a tee only at Customer Service. Also, Food World takes Winn-Dixie and Publix coupons now. Sorrento Winn-Dixie takes Walgreens Register Rewards. Talk to your store, because they might too. Now, Apple Market's $5 off $50 is available for print. Thanks Frugal Fairhope. You can also find it in the Weds paper in the Food section. Here's a rabbit trail... when you move, make sure all your coupons, booklets, printer paper are all in one box. That way, you don't feel like you are losing your mind looking for coupons or trying to print them on the back of coloring pages from Christmas. I could write a new song from recent events called, "I'm sure I saw it somewhere." I really did learn something from this wonderful new experience, even when your life stops, deals don't. It's not so hard to jump back in the saddle and get saving again! If you haven't abandoned this blog since I've been MIA and get to read this before the grocery week is over, happy shopping! My goal is to share with you how I navigate these deals and the tools I use. So, you will find a treasure of links that I use myself rather than me coming up with deal scenarios or coupon links. But should I happen upon overlooked deals, I'd happily share with you! Leave a comment and do the same, will you! Not literally, but here I am. We moved over the holidays. That was a real drama. Needless to say, I shopped without coupons and only once or twice in a couple weeks. I didn't even have a clue what was on sale! 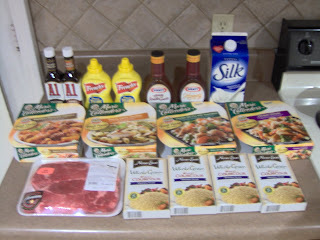 On our first day at the new house, I stopped at Publix for fried chicken and other convenience food: Paid $35 saved $5. It's usually the opposite! We've been here a couple weeks and are starting to get settled in. I have a speaking engagement tomorrow and a Marine Bio test to write up for Friday. Life just doesn't sit still! If you are interested and in the area, I'm speaking at Charity Chapel for the homeschool league (my lovely peers) at 6:30pm. 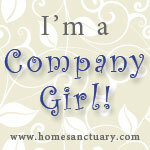 If you are thinking of homeschooling or already are, that would be a plus too! Email me at frugalforyou@gmail.com for more info.